That’s if the plans of California-based company Rocket Lab work out. Founded by New Zealander Peter Beck, the company was last week given official approval to conduct three test launches from a remote peninsula in the South Pacific nation. Rocket Lab is planning the first launch of its Electron rocket sometime from Monday, depending on conditions. Rocket Lab sees an emerging market in delivering lots of small devices, some not much bigger than a smartphone, into low Earth orbit. The satellites would be used for everything from monitoring crops to providing internet service. 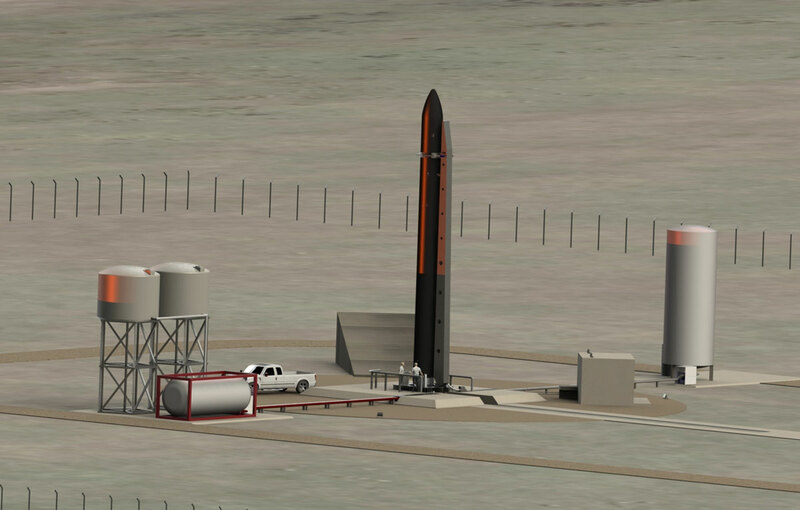 The company hopes to begin commercial launches later this year and eventually launch one rocket every week. It plans to keep costs low by using lightweight, disposable rockets with 3D-printed engines. It’s a different plan than some other space companies like Elon Musk’s SpaceX, which uses larger rockets to carry bigger payloads. The venture has left New Zealand officials excited and struggling to keep up. Politicians are rushing through new space laws and the government has set up a boutique space agency, which employs 10 people. Bridges said that if Rocket Lab is successful, it could change people’s perception of New Zealand from a place full of farms and nice scenery to a technologically savvy nation on the rise. He said the space industry could soon bring in hundreds of millions of dollars each year and rival industries like wine and kiwifruit. He envisions spinoff companies and many high-paying jobs, much of it built on the back of Rocket Lab. The company’s Electron rocket is unusual in many respects. It carries only a small payload of about 150 kilograms (331 pounds). It’s made from carbon fiber and uses an electric engine. Rocket Lab says each launch will cost just $5 million, a tiny fraction of a typical rocket launch. Unlike SpaceX, which aims to build a rocket that’s fully reusable, Rocket Lab’s rockets are disposable. Beck said they are light and use relatively little fuel. Customers who have signed up so far include NASA and Moon Express. Both Beck and Bridges are careful to temper expectations for the test launch, which is scheduled to take place within a 10-day window. They say there could be delays and things could go wrong. Rocket Lab, which is privately held, has received about $150 million in venture capital funding, including an undisclosed amount from Bessemer Venture Partners in Silicon Valley. Bessemer partner David Cowan said that for years, the trend was for both rockets and satellites to get bigger and bigger, until many satellites were the size of a bus or even a house. Needs have changed rapidly over the last few years as technology has allowed tiny, cheap satellites to be put into lower orbits, he said. Cowan, who is flying to New Zealand to witness the launch, said he was impressed with how local officials and everyday folks seem to be embracing the idea. On a recent visit to a sheep farm, he said a farmer who had no idea about his involvement in the project was eager to tell him how New Zealand would be launching a rocket. Eric Stallmer, president of the Washington, D.C.-based Commercial Spaceflight Federation, said a couple of other companies are also trying to fill the niche that Rocket Lab is aiming for but there is plenty of potential for growth. He said the U.S. is launching fewer than two-dozen commercial rockets a year and remains a world leader. Still, he thinks Rocket Lab’s goal of 50 or more launches a year sounds ambitious, and would take several years to achieve. Beck said the benefits of its launch site at Mahia Peninsula on the North Island include its location on a sliver of land that’s almost surrounded by water and clear skies that are free from much air traffic. Bevan Cutler, who moved to the area a couple of months ago and bought the Mahia Beach Store, said it’s a beautiful place with lots of holiday homes. People come for the surfing, fishing and diving. Some folk are upset the launches could result in the temporary closure of roads and fishing grounds, he said. Others are excited about the prospect of new customers and business opportunities. Most, he said, are waiting to see what happens with the first test launch.